The next round of Janus (JNS) tokens will be released on March 4th. Distribution + burning will equal 10.5 mil. "The people who helped create this distribution plan are long term holders with intent for best Janus success possible", Bjorn writes. - "It's a joint effort between us and our community and will be each time. This way it never becomes one sided. Remember each distribution covers a 4 month period. During this time we can evaluate the impact of each revision and make changes on the following distributions for a positive result for both project funding and market sentiments". 500k on C-cex.com exchange to give a BTC/JNS option for purchase. people to reach the 2 million token requirement for tier 1 dividends (JanusXT). The rate per token is set as follows: 2.25 NXT per JNS - a 25% savings from the market price. 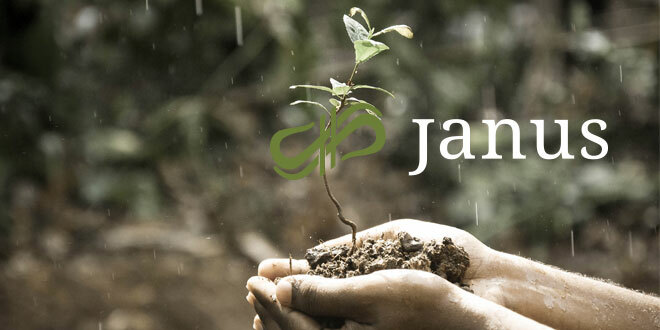 Two million JNS tokens in 2 allotments of 1 million Janus are set aside for those wishing to make a large investment into Janus but who are not able to go for XT status. Each is sold at a rate of 2.75 NXT per Janus - a savings of 8.33% off the market offer price. slack or email bjorn @ janustoken.com to complete the transaction. If any unsold tokens exist they will return to the Janus distribution account to be used for future quarterly disbursement. Another small thing to take note, when the distribution hits, Janus' market cap will jump from the new tokens in circulation. Over time keeping the project unnoticed by the general crypto community may get more difficult. The Janus developers are in full swing coding 2 sites that will launch before July. The other half of our team is immersing in the forex community now. Getting prepared for the social fintech site, I've started reaching out to traders with social followings that are in excess of 1000 people. We should have several professional traders ready after beta ends. Janus users will get first looks and testing though then beta will pull more until we feel confident V1 is ready to go live. Everything looking very solid, more news to follow on that in 30 days. Our team will not pursue US exchanges as their policies are vastly different than the rest of the world. So if they do list JNS then great, but it's not a focus, dividends and US seem to have issues, and Janus tokens for us are a vehicle to deliver profit sharing. If the community gets JNS listed at various places then fine, just be sure to return the tokens to your Nxt accounts to collect revenue each first of the month. Otherwise, it goes to the exchange, which is nice for them but not for holders. Some may have missed it, but this project isn't really a project, it's the life work for at least 2 of my team; Lobos and I. It's our end goal, retirement. Create empire, then grow empire, then future generations take over. The token partakes in this and will just evolve as needed to stay current.